While we've never met Gabby, we're already pretty sure we'd be willing to give her half of our heart-shaped "Best Friends" necklace just for being the namesake of this work of art. 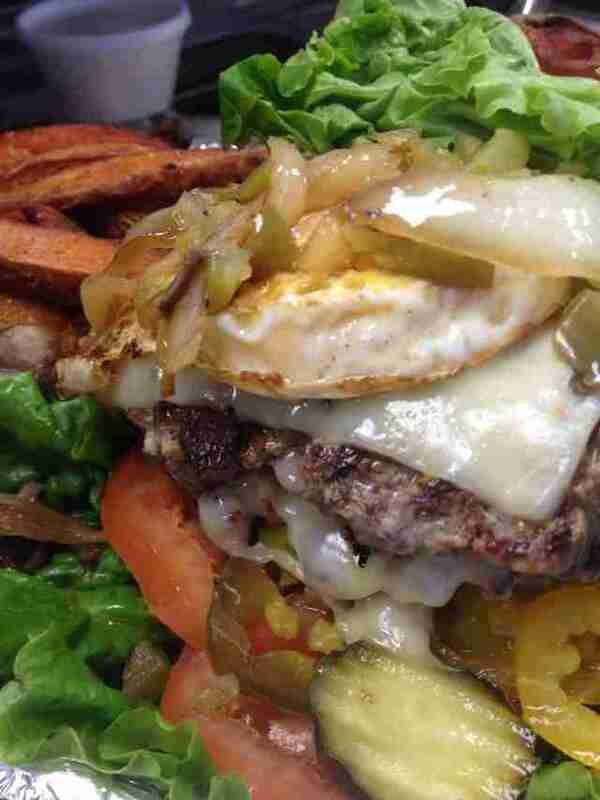 The Gabby Burger boasts not one, but two 5oz beef patties, each topped with cheese, plus toppings ranging from jalapeños to banana peppers, mushrooms, and a fried egg. 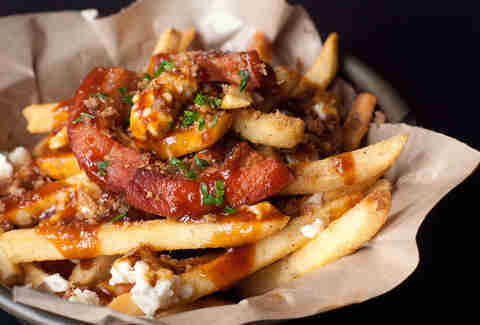 And if that weren't enough, you also get to pick a side, like crazy-good sweet potato fries. You're the bestest, Gabby. 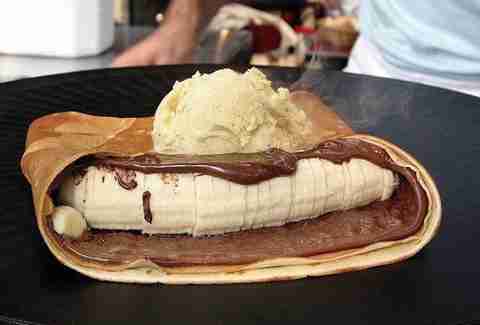 This crepe comes from a place that is literally a temple to the all-mighty Nutella gods, and we gladly offer up our stomachs as sacrifice. Loaded up with creamy, chocolatey Nutella and a whole sliced banana -- plus a hefty scoop of ice cream -- this decadent dessert will make a believer out of anyone. Unless you don't believe in being happy, in which case please continue blasting Hawthorne Heights. Your black and white-striped fingerless gloves look great today, by the way. 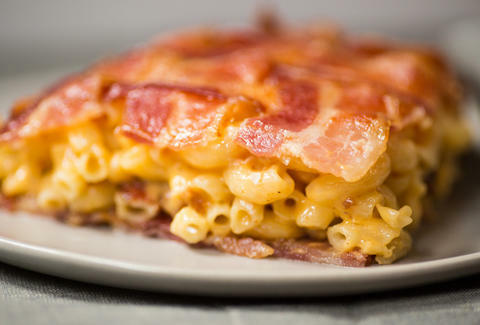 Okay, so bacon mac & cheese is one of the best parts of being alive, but honestly, we're kind of bored with it (please don't tell it we said that). We needed to reinvent our beloved comfort classic, and, like the incredibly proactive, self-sufficient people we are, we made it happen. 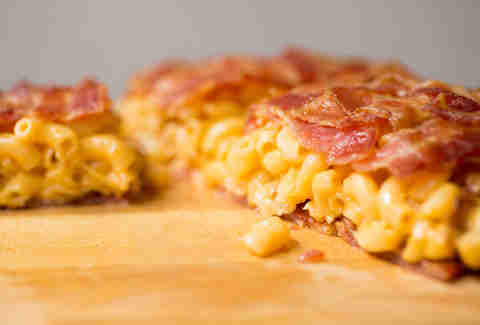 Using state of the art bacon-weave technology, we crafted tortillas that put those bacon-less corn or flour kinds to shame, then we stuffed cheesy bacon mac in between two for the greatest quesadilla since sliced bread (that's how that works, right?). Rachel Freeman is a Food/Drink editorial assistant at Thrillist, and thinks bacon weaving is a true form of artistic expression. Follow her to bacon-centric MoMA exhibits at @rachelifreeman.